Working with metals, recording experiences and the taming of fire, distinguishes man from beasts. 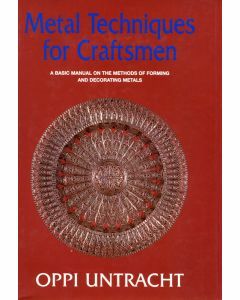 This book gives complete instructions on the handling, working and finishing of all metals. It is fully indexed and lavishly illustrated not only with working techniques but also with fine examples of craftsmanship through the ages. Part One is devoted to basic information and the characteristic qualities of each of the metals met by the craftsman, both precious and base. Part Two describes the various techniques in working metals, those that do not require soldering, those employing contrasting metals, those that require soldering, and those combining metals with nonmelalic materials. 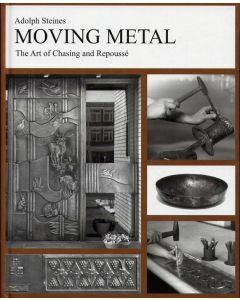 Part Three deals with smithing, annealing, forging, casting and other methods of metal fabrication. Part Four deals with finishing. Part Five descriibes hand tools and their uses. Part Six is devoted to charts and tables. A metal sculptor for over 30 years, Henry Harvey has created work that resides in public and private collections around the world. 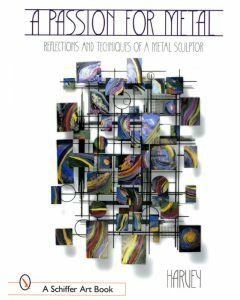 Here, with wit and style, Harvey divulges a rare, no-holds-barred accounting of his world of metal sculpting,from the lighting of a torch to techniques,patinas, strange commissions, peculiar customers, and a candid insight to the genesis of his sculpture. A number of projects are illustrated and explained in exquisite detail, making this book an absolute must for everyone contemplating becoming a sculptor. 'Passion for Metal' is much more than a how-to-book. It is richly illustrated, its narrative offers rare insights into the creative process and the inner workings of the artist's mind. This visual and verbal feast book will be embraced by rt historians, collectors, and budding sculptors alike. Henry Harvey lives and works in eastern Pennsylvania. In addition to sculpting in metal he is an inventor, game designer, and a successful novelist. Striking Women was put together by the Berlin artist, Latifa Sayadi, with contributions from women all over the world. It gives special reasons for every viewer to admire it as a living salute to smithing women surpassing all countries, continents, styles, methods, and concepts. Latifa Sayadi is a Tunisian/German artist blacksmith and sculptor based in Berlin, Germany. There she runs a workshop where she creates her sculptures and commissioned pieces. She is also interested in exposing the works of female blacksmith's. 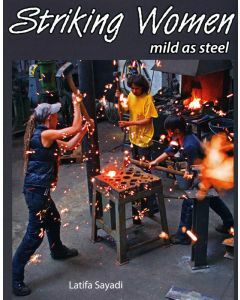 In 2008 she finished and published her documentary film about women blacksmiths, Queens of Iron. You can understand that women contribute much to the metal working trades. The production of iron and its shaping by hot forging methods was known in modern Ukraine long before the Common Era. Ukrainian Blacksmith Oleh Bonkovskyy, exemplifies one man's dedication to the art of blacksmithing. This book illustrates the craftsmanship of Bonkovskyy's many works of art that have found their home around the world, including large public sculptures, detailed and intricate panels, stained glass, signage, fireplaces, grillwork, gates and handrails, candlesticks and crosses. 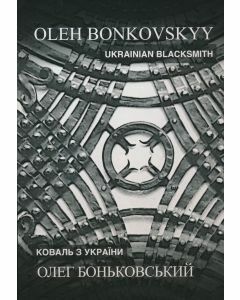 Included are also chapters on the history of blacksmithing and each of the styles of his work in both English and Ukrainian.